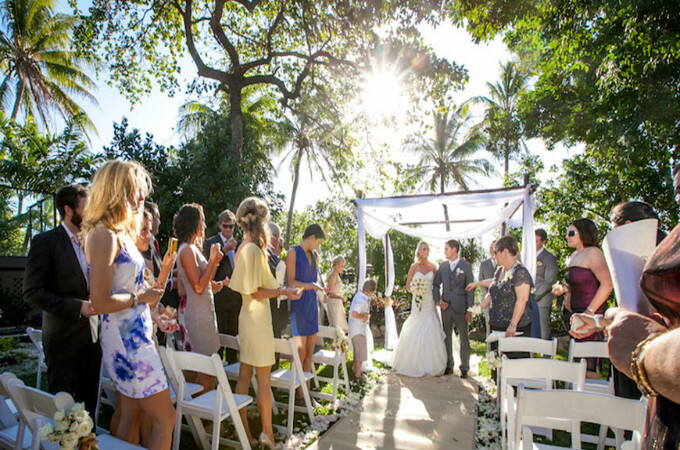 A relaxed tropical paradise within the sheltered waters of the Great Barrier Reef, Fitzroy Island Resort offers an unforgettable wedding experience. A go-to for creative and bold wedding ideas, Jordan is also known for his ability to conduct them seamlessly with ease, elegance and a sense of humour. 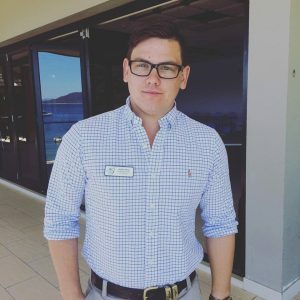 Jordan first found his passion for events while studying at the prestigious Blue Mountains International Hotel Management School. He then travelled Australia, working at some of the country’s top hotels and resorts, before “finding my home on a slice of paradise” at Fitzroy Island. As the island’s Wedding & Events Coordinator, Jordan is passionate about creating the perfect wedding and delivering a once-in-a-lifetime experience for every couple. Where the Rainforest meets the Reef. We are very accessible from most major cities in Australia, only a 45-minute boat trip from Cairns. This makes us very attractive for clients that want a tropical destination or barefoot beachside wedding. 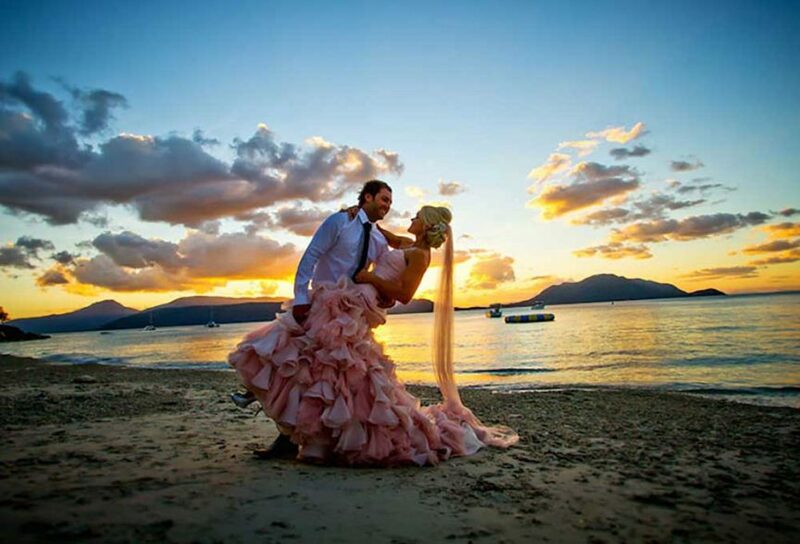 Where’s your favourite spot at Fitzroy Island Resort for a gorgeous wedding photo? Nudey Beach would have to be one of our best spots for photos — but as soon as the sun sets, the whole island is amazing for photos no matter where you go. Foxy’s Bar on sunset you can’t go wrong with — cocktail in hand, watching the sun go down over Welcome Bay. I would have to say Castaway’s Cottage. It is private and away from the main areas of the resort. Nestled in the rainforest and overlooking the crystal-clear waters of Welcome Bay, it’s the perfect location for a wedding couple or honeymoon retreat. Boasting two bedrooms, kitchen, spacious living/dining area, large outdoor deck and spa— with arguably the best views the resort has to offer — you’ll soon be calling Castaway Cottage your home away from home. 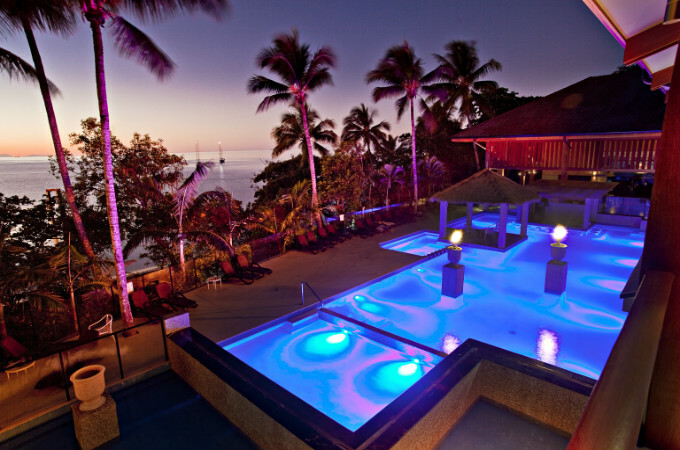 What’s one thing you get at Fitzroy Island Resort and nowhere else on the planet? Aged Gippsland lamb backstrap, house smoked with apple-flavoured chips, lightly pan seared and served medium rare with a selection of heirloom baby beetroots, pea and smoked bacon puree, pistachio kernels, creamed Chived Cherve goats cheese, raspberry gel, micro salad and shiraz jus — from our two-hatted chef and winner of multiple awards, Andrew Johnson. Nothing is too strange a request, it’s the couple’s day. I’m a planner who will say ‘I will ask the question and get back to you pronto!’ If it’s within our capabilities we will try our best to make it happen. Brides have arrived on jet skis and had photo shoots on stand-up paddle boards. A request to jump off the jetty in a full wedding dress with a train seems a little strange, considering the dress costs thousands of dollars… but hey, that’s the ‘destroy the dress trend’ these days. What is something wedding couples always forget to bring or do? 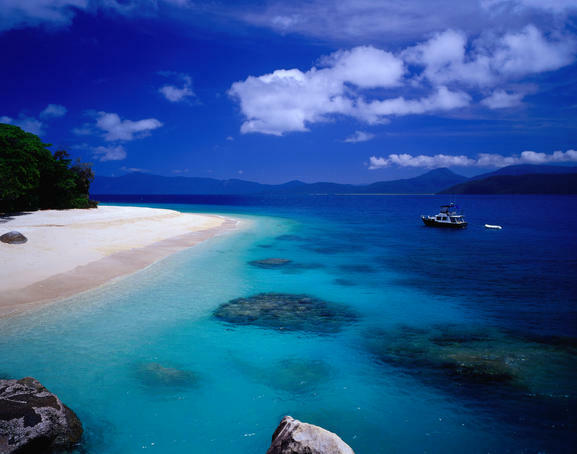 What’s the most glamorous/luxurious thing couples get to do at Fitzroy Island? Depending on the couple’s budget I can make most things happen — from getting married on the ocean floor to a dinner for two on top of the island’s summit. Compare different locations and choose what’s right for you, not what your parents or in-laws want. It’s your day. Use the power of the internet, shop around and make sure you look into the legalities of your chosen location, you never know what’s in the fine print. Travel to your chosen location before you get married, get a layout of the land. Then, next time you will know where everything is and it will save you time if anything is forgotten in your luggage. “We would like to thank you for helping us to create the most magical wedding day we could have ever hoped for. You worked tirelessly and bent over backwards to help us get everything we dreamt of! The day ran so smoothly thanks to you and the long hours you put in. James, I and our 60 guests had such a great day! I was certainly nervous organising a wedding for 60 from nearly 1800km away but when we met you for the first time the day before our wedding, you were so calm and had everything under control.